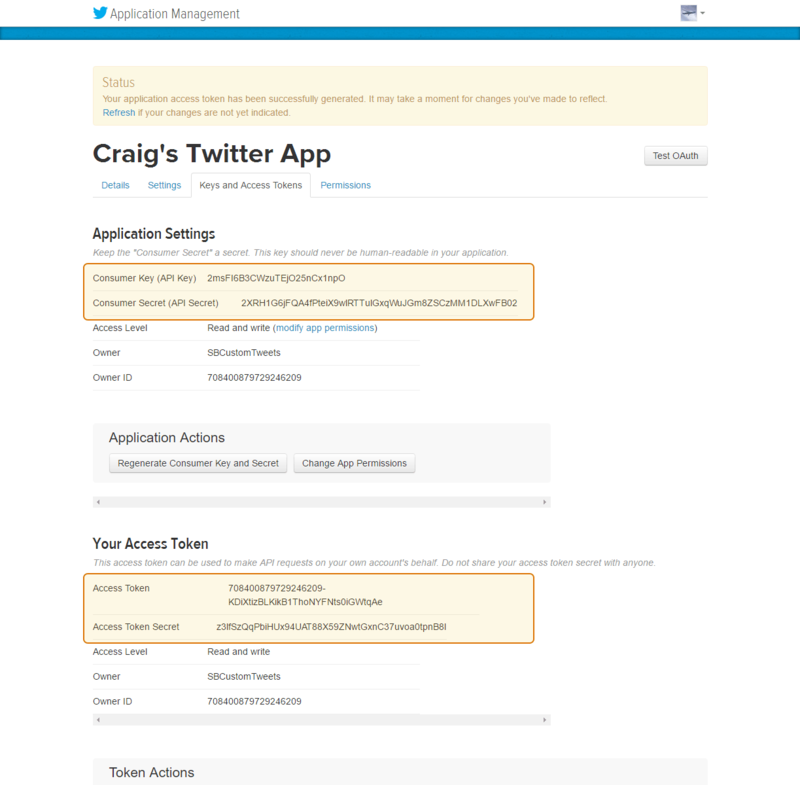 Please note that creating your own Twitter App is optional when using the Custom Twitter Feeds plugin. 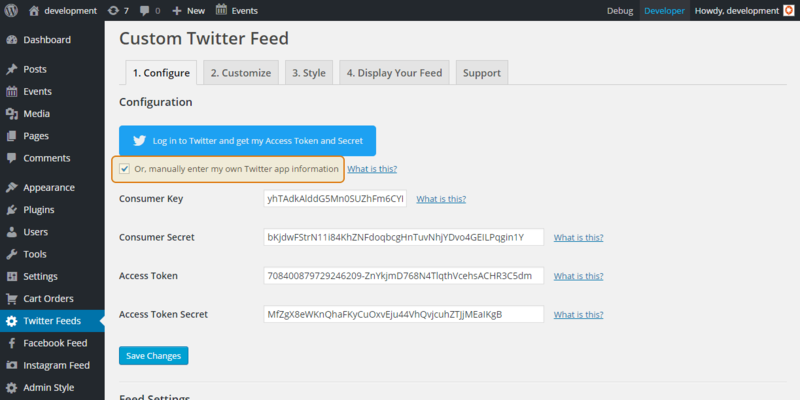 To create a Twitter App and collect the consumer token, consumer secret, access token, and access token secret associated with it just follow the steps below. 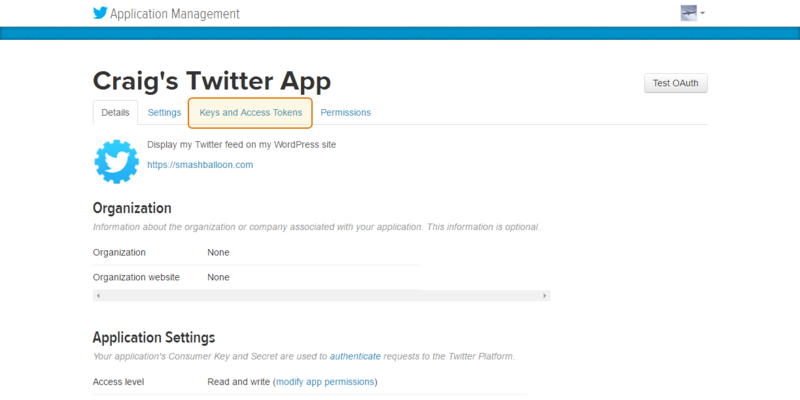 1) Go to apps.twitter.com and click on Sign In in the top right. 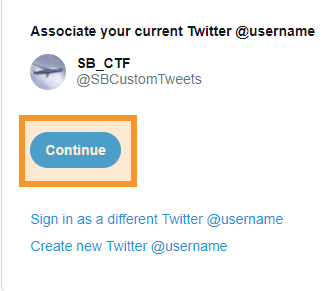 Log in using your personal Twitter credentials. 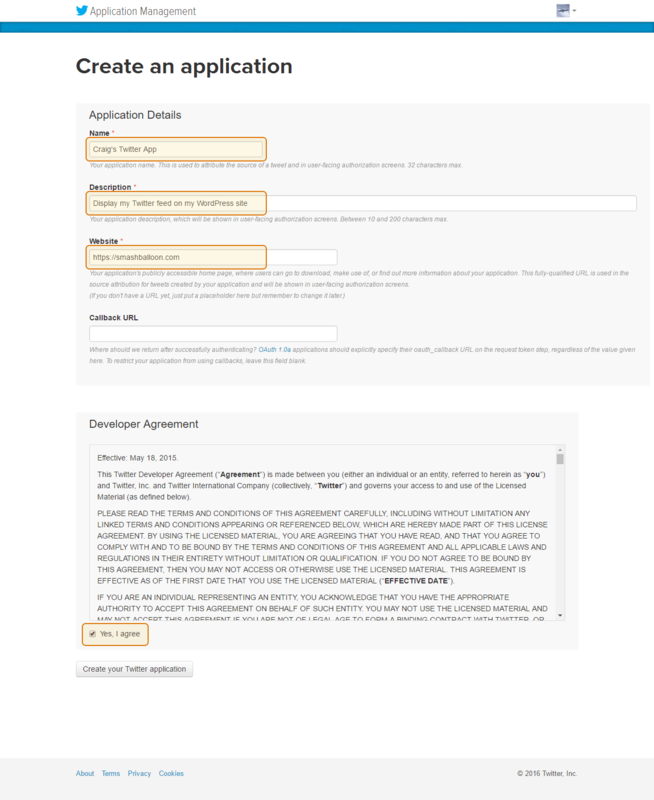 3) Fill out the top three “required” fields and check the box next to “Yes, I agree” to accept the developer agreement. 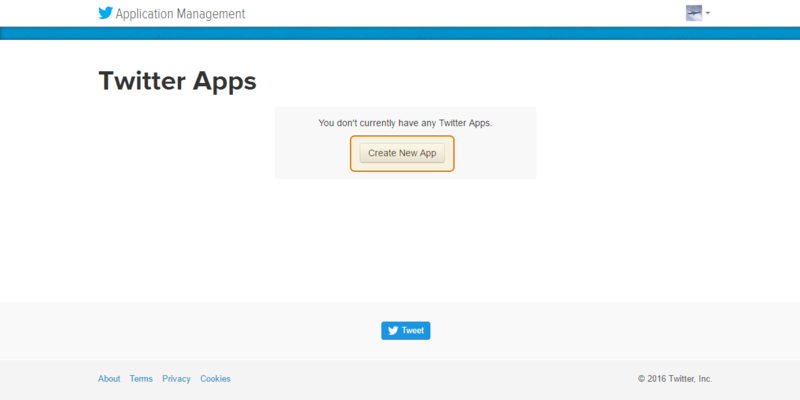 Click the button “Create you Twitter application”. 4) Click on the “Keys and Access Tokens” tab. 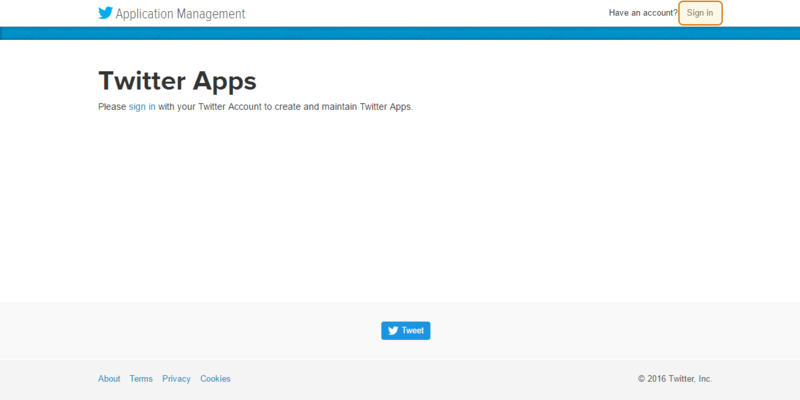 6) Back in the dashboard for your WordPress site, navigate to Twitter Feeds > “Configure” tab. 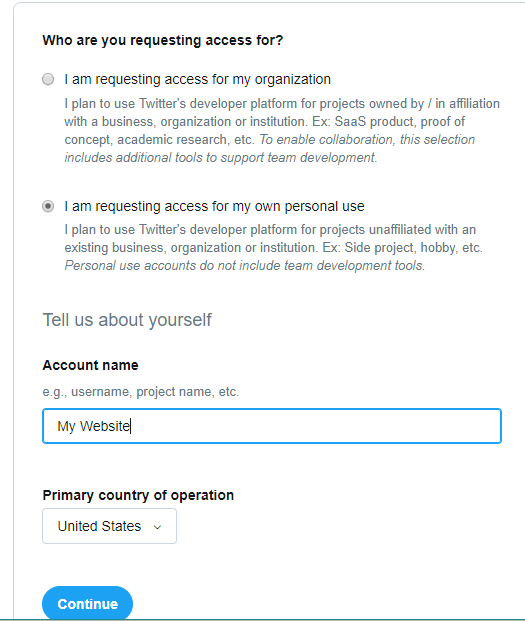 Check the box to reveal the four fields to manually enter my own Twitter app information. Paste in the appropriate keys/tokens. Click Save Changes. 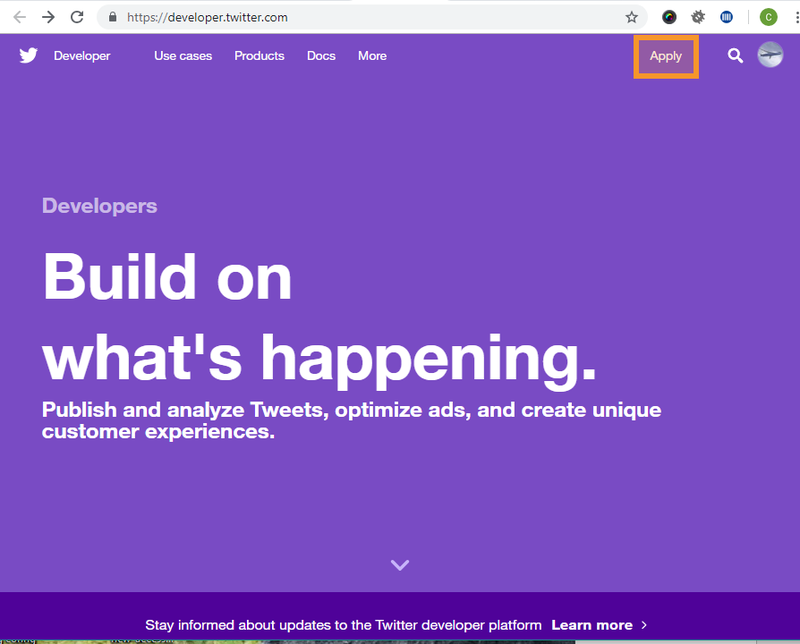 7) Visit Twitter’s developer website here: https://developer.twitter.com/. 8) While logged-in to Twitter, click on the Apply link in the top right corner. 9) Follow the steps. Click Continue to proceed to the next step. 10) Fill out the details requested and click Continue again. 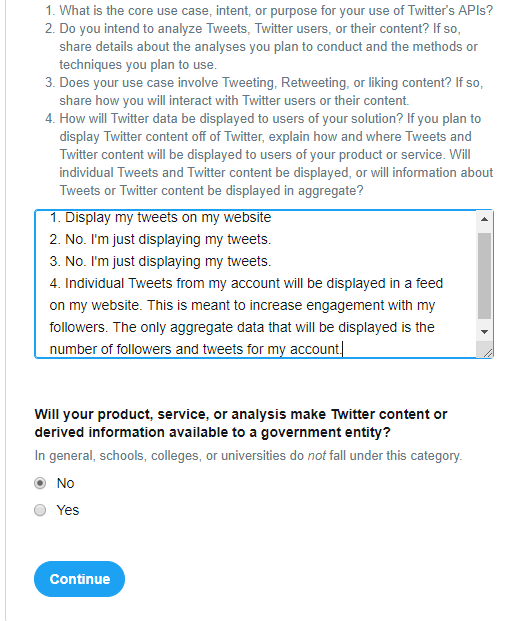 12) Agree to the terms and conditions and then click the email verification link sent to the email address associated with your Twitter account. Stuck? You can also try contacting support for assistance.